Sterling, Virginia – A Wells Fargo bank was robbed last week by a man wearing a Mitt Romney mask. The robber, brandished a handgun and stole money from several tellers before making his escape. This same bank was robbed two years ago by a robber wearing a Hillary Clinton Mask. However, it was fitting that this man was wearing a Florida State sweatshirt, given that the university has had a history of ah …… criminal athletes. Tide, The Next World Currency? Forget The Dollar, The Euro Or Yen, The newest currency is…..Tide?!?! Law-enforcement officials across the country have been baffled by the latest crime wave targeting an unlikely item — Tide laundry detergent. Theft of Tide detergent has become so rampant that some cities are setting up special task forces to stop it, and retailers like CVS are locking up the liquid. One thief in St. Paul, Minn., stole approximately $25,000 worth of the laundry detergent before he was arrested early this year. Tide has become a valuable currency on the streets. The retail price is pretty high — roughly $10 to $20 a bottle — and it’s a staple in households across socioeconomic classes. Tide can go for $5 to $10 a bottle on the black market, cops say, and some thieves even resell it to stores. So far, as of this writing, George Soros hasn’t tried to manipulate the price of Tide on the world currency markets…..yet. A Texas prisoner was charged with smuggling 9 mm into prison. The gun was found during a routine check of the prisoner’s cell. While it’s not completely unusual for people to smuggle things into jail, it was however the unique method of smuggling that authorities were surprised about. 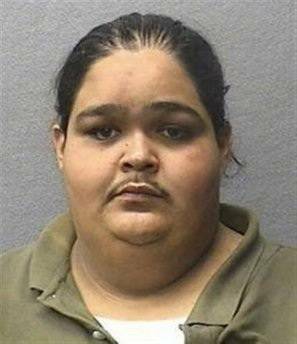 The prisoner admitted to sneaking the weapon into the jail by hiding it under the folds of his fat. The prisoner also admitted to smuggling in some KFC and a bag of pretzels. Apparently, when you weigh more than 600 lbs., you’ve got plenty of nooks and crannies to hide a gun and ammo.